In all the hustle and bustle that lead up to the release of “Jamie Marks is Dead” I failed to report a fantastic bit of news that occurred in mid-July. 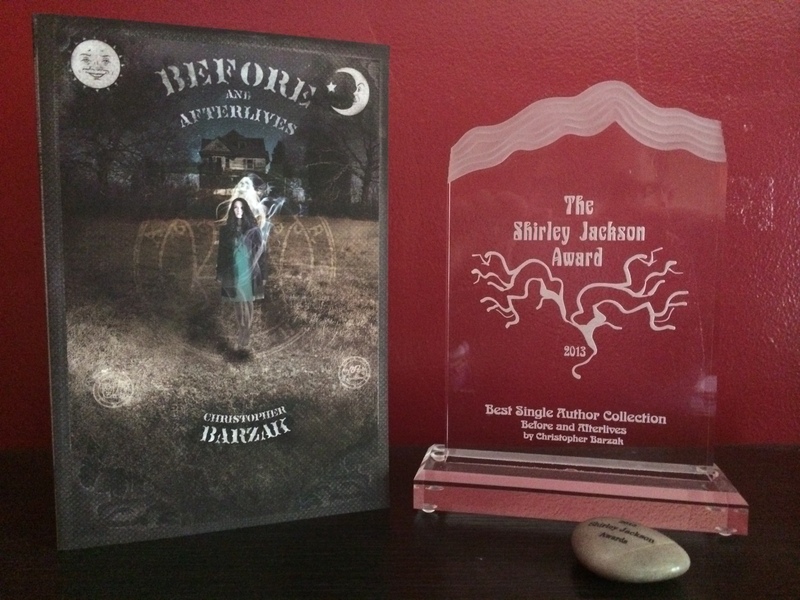 As I’d mentioned in an earlier post back in May, my short story collection Before and Afterlives had been nominated for the 2013 Shirley Jackson Award in the category of Best Single-Author Collection. In July it was announced that I had won the award. In fact, there were two winners: my collection and Nathan Ballingrud’s amazing collection, North American Lake Monsters. 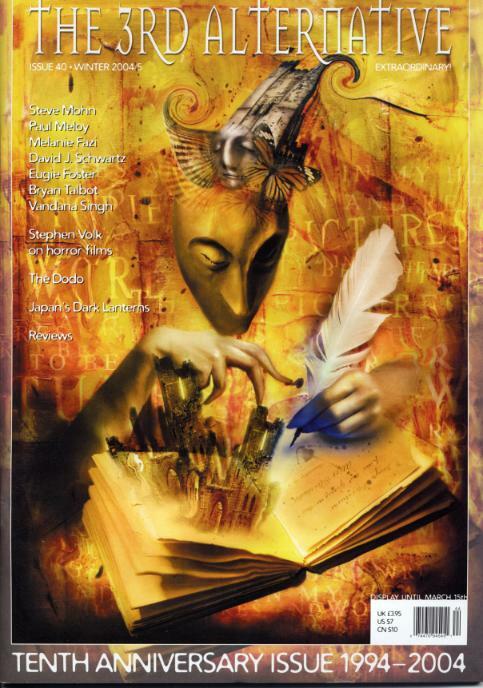 I could not be happier to have this collection–something of a retrospective of the best of my short stories from the first decade of my life as a publishing writer–recognized with this award. Shirley Jackson’s work has been an enormous influence on me since I was a teenager assigned to read “The Lottery” in a high school English class, like so many of us from a certain generation were. Her small town spooks and just-on-the-edge-of-surreal thrills spoke to me on so many levels. To have my collection of stories recognized in her name is really, as they say, a dream (or perhaps in Shirley’s case), a nightmare come true. I’d like to thank Steve Berman, my publisher at Lethe Press, for believing in my stories and for bringing this collection out into the world. I’d also like to thank Alex Jeffers for the gorgeous interior design, and Steven Andrew, who designed the cover, which I still look at from time to time and think, Damn, that cover is unbelievably fantastic. Thanks, too, to the many editors of the magazines and anthologies that first published the stories individually. Here’s a photo of the book and the award itself. Today’s excerpt comes from “A Resurrection Artist” which was published in 2004, in the UK magazine, The Third Alternative, which was rebranded a year or so after the story came out as the magazine now called Black Static. It’s a story I was thinking about while my reading took me across both Kafka’s “A Hunger Artist” and Sylvia Plath’s poem “Lady Lazarus”. I’ve always been interested in writing about characters whose talents (often magical gifts and/or curses) are somehow used or abused by others for personal gain, and I’ve always been interested in cultures of spectacle (like our own here in the U.S.). This is one of my stories where those interests converged. Lying here in this abandoned hotel, I have done it once again. Once every year or so, depending on my finances, I allow myself to die. It’s a way of life, a means to an end, or an end to life as a way of surviving. Any way you look at it, my body is a miracle. Now comes the burning sensation of re-entry, a tingling that grows to feel like fire. As I find myself returning to my body, every cell expands, flooding with electricity. Then my eyes blink over and over, making adjustments to reality and to the grade of light. I gasp for a first breath, then howl like a newborn. After this I can begin to see the people who killed me hovering over my body, their oval faces peering down, curious, amazed. This audience has been the eighth group to kill me. It was a thrill for them, I’m sure, even though some have already seen me do this. I’m developing a following. Times are rough, Jan constantly tells me. People need something to believe in. Jan is my manager. She’s my sister, too. Improvisation, spins on old ideas, variations on a theme, she advises, is what’s needed to keep this act alive. This act can’t die, though, even if I tried. Like the cat, I have nine lives. More than nine most likely, but in matters like this there’s always the unpredictable to take into account. So far, though, Jan and I haven’t figured out how to mess up death. A young man wearing a dark suit says, “This can’t be happening.” I cough and spit up blood in my hands. There’s a golden ring on one of my fingers that wasn’t there when I died. This must be what I brought back this time. I try to recall how they killed me, but can only remember in pieces: a burn under my ribs where a knife slid in, the jolt of a gunshot splitting my chest open, my eyes flooding with blood after the blow of a hammer. A typical reaction, really. Some people are confused about what they truly want. She didn’t pay for a resurrection; she only wanted the death. But we have their money, ten thousand dollars a head, and there are eight of them. We kept this group small since outings like this–a killing instead of a suicide–are illegal. Hence the abandoned hotel, once known as The Flamingo. The carpet, the striped wallpaper, the floor of the drained pool, everything here is pink. Jan smiles. Mrs. Bertrand smiles. The rest of the killers smile. I try, but only manage a weak sneer.